Oregon is rich in natural beauty, and you can find an incredibly diverse range of environments throughout the state. The Willamette Valley is close to many different natural wonders, many of which are preserved through state or federal protections. Below, you’ll find some of the best Willamette Valley State Parks to visit. Grab a camera, lace up your hiking boots, and get ready to enjoy some of the most breathtaking sights in the state. Nature and history intersect at Champoeg State Park. For history, you can visit the site where the first provisional government in Oregon was established in 1843, take a guided tour, or visit historic buildings turned into museums. Hike the scenic trails that wind their way through the acres of forest, fields, and wetlands to explore the natural side of Champoeg State Park. If you only go to one of Oregon’s State Parks during your time in the Willamette Valley, this is the one to visit. 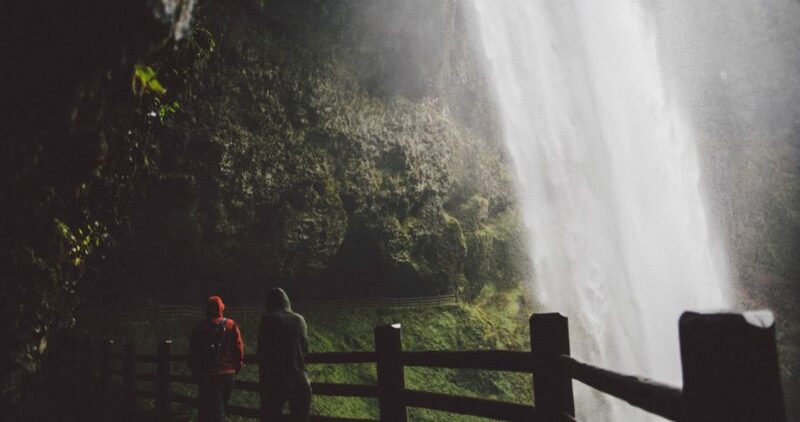 It’s the largest state park in Oregon and is home to several breathtaking waterfalls—follow the Trail of Ten Falls for an easy hike that even takes you behind a waterfall at one point! At Willamette Mission State Park, you’ll discover over 1,600 acres of woodlands broken up by wetlands, beautiful meadows, and working farmland, as well as the largest black cottonwood tree in the nation. This is also the site of the former Willamette Mission, which has been rebuilt as a ghost structure. State parks are just one way to explore the rich natural diversity of the Willamette Valley. Check out our suggestions for other outdoor attractions and hikes in the Willamette Valley and Oregon you won’t want to miss!  Whether you’re looking for wildlife, snapping pictures, or just want to enjoy a stroll through the outdoors, this is an excellent destination for nature lovers. The Columbia River Gorge is one of the most popular natural attractions in Oregon. This is where the Columbia River cuts through the Cascade Mountains, resulting in rugged cliffs, mossy canyons, and sparkling waterfalls (including the picturesque Multnomah Falls). One of the largest urban forests in the United States is in Northwest Portland. Forest Park is home to 80 miles of trails, fire lanes, and forest roads, all within Portland city limits. You can spend some time hiking, then head straight into the city to grab a bite to eat and recover! While this is technically not in the Willamette Valley, it’s close enough (and magnificent enough) that it is well worth a day trip. Head toward the rugged coast to explore the lush Tillamook State Forest, nestled in the Northern Oregon Coast Range. After a day spent enjoying the great outdoors, return to a beautiful oasis tucked away in the Willamette Valley. Our stunning inn and vineyard awaits you! Relax with a glass of our excellent organic wine, sipping as you take in the views that stretch for miles. 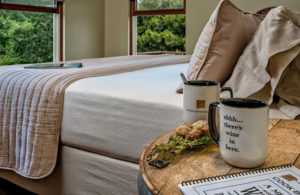 Amenities you will find in our luxuriously appointed guest rooms include romantic fireplaces, whirlpool tubs, soft, comfortable beds, and unbelievable panoramas of the valley. You’ll have everything you need for a refreshing vacation at Youngberg Hill. Be sure to take a look at all of our gorgeous guest rooms before you book your stay in the Willamette Valley! Celebrate the arrival of spring in the Willamette Valley by participating in a marathon! Explore the streets of Salem and the spectacular natural beauty of the Willamette Valley all in one when you attend the Willamette Valley Marathon and Wine Festival. 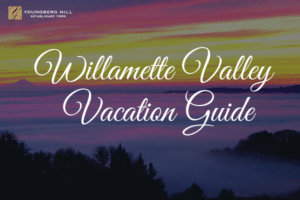 Get Your Free Willamette Valley Vacation Guide! What is the Willamette Valley Marathon and Wine Festival? Each May, the Willamette Valley Marathon and Wine Festival provides a fantastic way to get outside and enjoy the lovely weather while challenging yourself with a marathon. The 2019 Willamette Valley Marathon takes place starting at 8 a.m. on May 19th in Oregon’s state capital, Salem. You’ll get to see both the city and gorgeous natural scenery, as the marathon takes you through downtown Salem as well as different parks depending on the race that you choose—whether it’s the marathon, half-marathon, 10K, or relay. The marathon begins directly in front of the Oregon State Capitol and finishes at Riverfront Park, where you can catch your breath and relax as you enjoy the beautiful views of the Willamette River. Reward yourself after the marathon with a delicious catered lunch paired with a wine tasting festival! In addition to the catered lunch and the wine festival after the marathon, you can expect chip timing, a commemorative shirt and wine glass, custom finish medals and even a free post-event massage! The scenic course for the full marathon takes you through downtown Salem, Riverfront Park, Wallace Marine Park, Minto-Brown Island Park, along River Road, and over the Union Street Bridge and the Peter Courtney Bridge. With this route, you’ll enjoy a wide range of breathtaking sights, including forests, farmlands, and the habitats along the banks of the Willamette River. 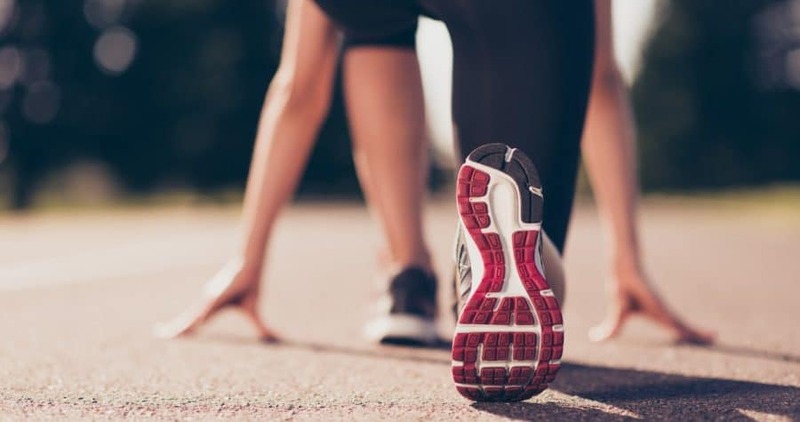 With the half-marathon, you’ll still get to experience downtown Salem, Riverfront Park, Wallace Marine Park, Minto-Brown Island Park, and the Union Street and Peter Courtney Bridge. Follow paths throughout both of the parks as you enjoy the balmy springtime weather and vibrant blooming flora and fauna, ultimately finishing at Riverfront Park. The half-marathon-relay follows the same course as the half-marathon, but it will be split up between two runners. The first runner will start at the Oregon State Capitol and run to Minto-Brown Island Park, where they will meet the second runner who will finish the route and end at Riverfront Park. The 10K will take you from the Oregon State Capitol to Riverfront Park, the Peter Courtney Bridge, and the Minto-Brown Island Park. Once you’ve circled the park, you’ll cross the Peter Courtney Bridge once more and finish at Riverfront Park. Enjoy wine tastings from 10 different local wineries at the Willamette Valley Wine Festival! All ages are welcome, though you must be 21 or older to taste! You can purchase a glass and tasting in advance online, or the day of the event for a slightly elevated cost. You can’t register for the marathon the day of the race, so be sure to register before the deadline passes. There will also be a cap of 1,500 runners for the marathon, which gives you another good reason to register early! For deadlines and pricing, check the Willamette Valley Marathon website. There will be ample free parking and aid stations every three miles along the course. Walkers are allowed, as are strollers, though you’ll have to be in a separate class as a courtesy to the other runners. 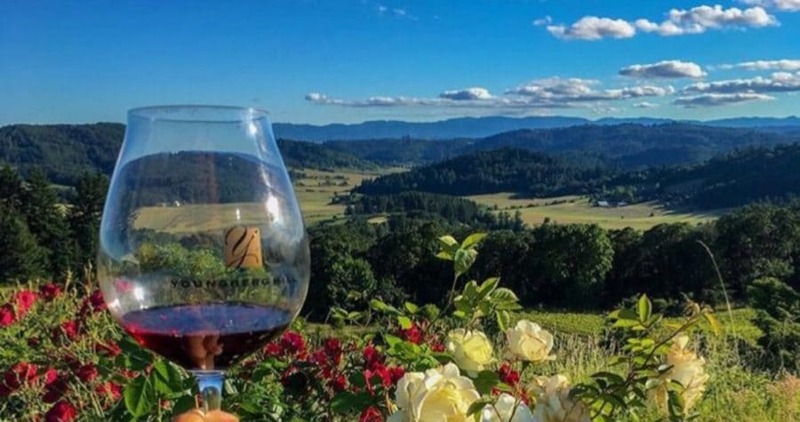 Once you’ve had a chance to experience a picturesque marathon through the Willamette Valley and topped it off with a wine festival, you very well may get hooked! If you can’t get enough of the festivities, you’re in luck—in early September, the Oregon Wine Country Half Marathon gives you another opportunity to enjoy the bounty of the Willamette Valley, both in natural beauty and its incredible wines. The marathon begins with a breathtaking view of Mt. Hood at Stoller Family Estate, then winds 13.1 miles through rolling vineyards and bucolic farmland, ending ultimately in downtown Carlton with a Wine & Music Festival. Make an occasion out of the marathon and plan to stay and explore after (or before) the event! There are so many things to in the Willamette Valley, which definitely makes it worth your while to spend some time here. 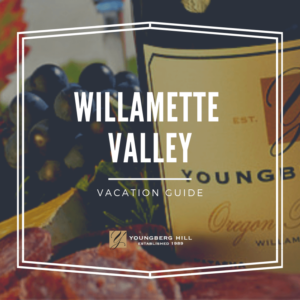 Youngberg Hill is in an excellent home base for exploring the Willamette Valley. 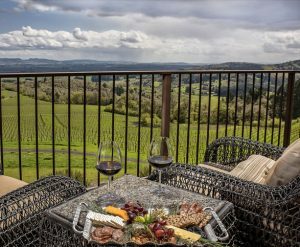 We’re within 20 minutes of over 150 excellent wineries, tasting rooms and vineyards and about 10 minutes outside McMinnville, which offers fantastic restaurants, shops, galleries, and more. Of course, there’s enough to do on our property that you could spend most of your time here! Our tasting room showcases the incredible wines produced from our organic, biodynamically-farmed vineyards, and we often have an event happening. The views from our inn and tasting room are truly spectacular, and our tranquil location will leave you feeling entirely rejuvenated and refreshed. Take a moment to learn more about Youngberg Hill, and be sure to reserve your stay in advance! We look forward to hosting you. When it comes to food, McMinnville has no shortage of fantastic fare. You’ll find cuisine ranging from farm-to-table to fine dining, from casual to international and everything in between. While there is great variety in the options available to you, one thing you can be sure that each eatery has in common is top-notch quality. Of course, it can be difficult to narrow down where you want to go when you have so many options. Below, we’ve made it easy for you and listed some of our favorite restaurants in McMinnville, Oregon. The Barberry is a local favorite and with good reason. 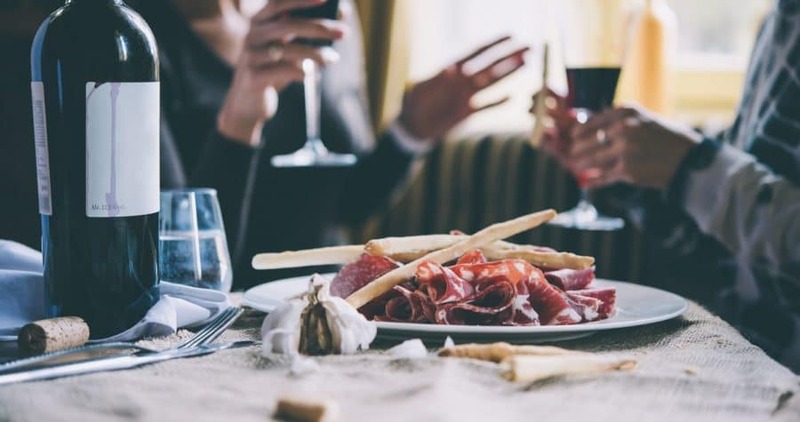 With an amazing seasonal menu, 95% locally sourced ingredients, and an excellent wine list curated by their sommelier, you won’t be disappointed by a meal at the Barberry. Discover an authentic French bistro and delectable fare at Bistro Maison. With a lunch, lunch du jour, dinner, desserts, wine, and les digestifs menu available, you’ll have plenty to choose from. La Rambla “blends the freshness of the Northwest with the exciting cuisine of Spain,” resulting in food like paella, tapas, and more that burst with flavor. Savor delicious, authentic Italian fare at Nick’s Italian Cafe. Fresh, local ingredients come together in dishes like handmade pasta, wood-fired pizza, and more. You’ll find Thistle in the heart of downtown McMinnville’s historic district. A cozy, intimate atmosphere paired with a menu that showcases the bounty of the Willamette Valley. Can’t decide on what you’d like to order? Thistle will craft a multi-course meal for the table with the Chef’s Whim option. Known for their finely crafted beers, the Golden Valley prides themselves on sourcing their fresh local ingredients from their own garden and cattle ranch. 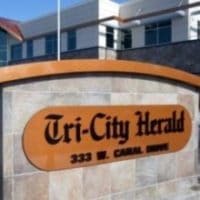 This upscale brewpub also serves housemade beers, and it’s downtown McMinnville location is the original establishment. Most of the ingredients that go into the dishes at Pura Vida are grown and produced locally, and you’ll taste the difference. Their cuisine presents Latin American flair, and their drink menu includes classic cocktails as well as Oregon craft beer and wine. Community Plate’s name reflects their dedication to community in all that they do. Through sourcing ingredients from local farmers and providing a friendly, inviting atmosphere that welcomes all, they’ve created a place where you’ll feel like you’re right at home. Every dish at Valley Commissary is made from scratch. They use local, in-season ingredients to inspire their menu, which they describe as an unpretentious take on upscale food. Our beautiful estate is just 10 minutes outside of McMinnville, offering the perfect balance of convenient location and serene oasis. You’ll feel like you’re miles away from the hustle and bustle of the city as you enjoy the views from our 50-acre hilltop. Savor a glass of our award-winning wine as you gaze out over our picturesque organic vineyard. 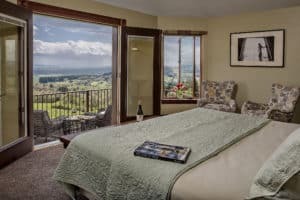 Feel your stress melt away during your stay in our inn complete with comfortable beds, luxurious whirlpool tubs or waterfall showers, and stunning views of the surrounding valley. In the mornings, you’ll be treated to a gourmet breakfast made with locally sourced ingredients, including some from our own property. We also have a gorgeous event pavilion available for private or corporate use, and specialize in breathtaking weddings and elopements. Whether you choose to host your event here, visit the tasting room, or stay for a while, you’re sure to have an unforgettable experience during your time at Youngberg Hill. It is difficult to narrow down the best of over 500 wineries in a region known for incredible Oregon wines. 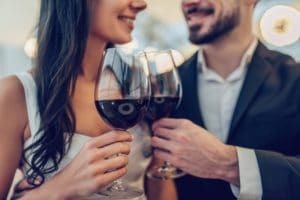 However, we have collected some of our favorite Willamette Valley tasting rooms and wineries that provide both exceptional wine and a pleasant experience. Take a look below! 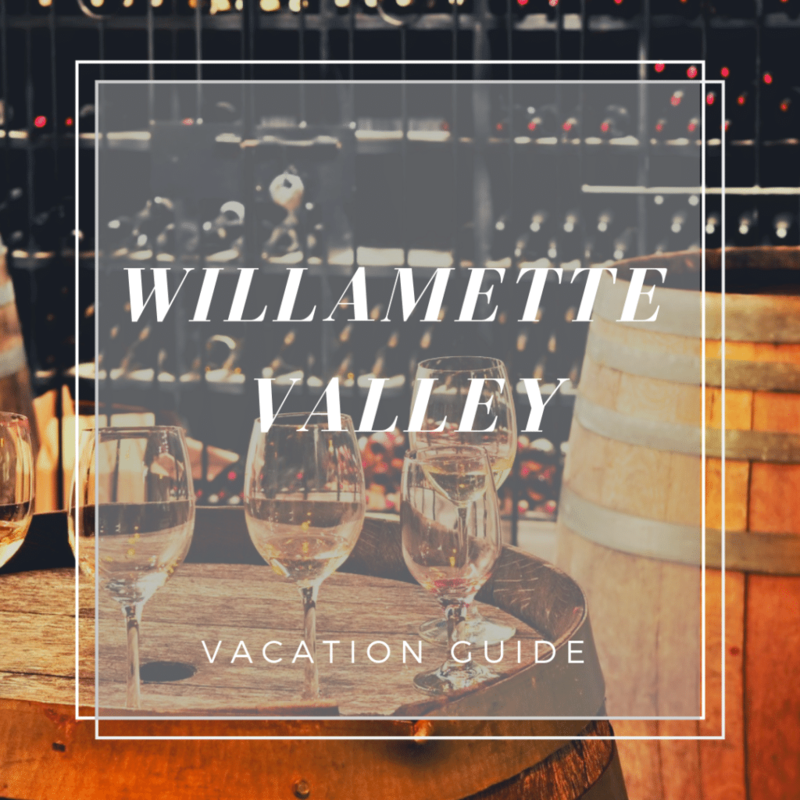 Get Your Free Willamette Valley Travel Guide! 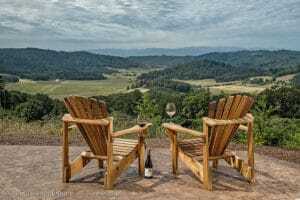 Below are some of the best Willamette Valley wineries to visit during your stay in Oregon Wine Country. 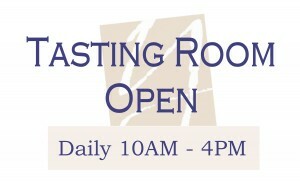 Keep in mind that the tasting rooms we have featured are just one of many from each AVA! The tasting room at Beaux Frères is small and private, offering an intimate, relaxing atmosphere. To ensure that you can have a wine expert to lead you through the tasting, you must book in advance. For decades, Adelsheim has focused on producing world-class wines while acting as good stewards of the land. When you visit their tasting room, you’ll enjoy phenomenal service and excellent wine. Head to the beautiful Bergström Winery to discover excellent wine and learn about the history of the winery and the Chehalem Mountains region. Relax on their lovely deck as you gaze out over the vineyard with the Cellar Tasting, or stroll through the vineyards and enjoy a private tasting with the Ekollon Tasting. The cozy tasting room at Colene Clemens welcomes you in and sets the tone of the experience beyond, as the people who serve your wine to you are there to answer your every question. However, if it’s a beautiful day, you’ll want to sit outside and soak in the views. The geology of the land that the 11-acre vineyard occupies is extremely unique to the region. Instead of relatively deep soils from floods or volcanic events, the vines must grow in a mixture of sandstone and fossilized oyster shells, resulting in the need for exacting care, which in turn results in wine of exceptional quality. Stop by to taste current releases, inspirational bottlings from around the world, or rare wines from Antica Terra’s personal collection. Sit back and relax in their beautiful tasting room while enjoying a flight of wine and the expansive views. You can choose from a few different experiences when you visit this Eola-Amity Hills winery, so if you would like to explore more than the tasting room, you can take a private tour of the winery or vineyard. Tastings are available by appointment only. Rajat Parr and Sashi Moorman call upon their deep familiarity with the world of wine to inform how they approach the task of carefully tending the historic Seven Springs vineyard. Wines from this vineyard are some of the most decorated and award-winning wines in Oregon’s history. Visit their Dundee tasting room to sample from the full range of award-winning wines from the Seven Springs Estate, as well as limited release and library bottlings. Dr. Madaiah Revana founded Alexana Winery with the intent of crafting Pinot Noirs that could rival those of Burgundy. You can decide for yourself whether or not he has accomplished this when you visit their tasting room! Domain Drouhin has roots in Burgundy—since 1880, the Drouhin family has produced exceptional French wines, and they can be considered one of the founding families of Oregon wine. These Primum Familiae Vini members brought their expertise passed down through generations to the Willamette Valley, and they have now been cultivating their Oregon vineyards for over 25 years. When you visit this elegant winery, be sure to taste the Pinot Noir and the Chardonnay. The tasting room at Lange Estate Winery & Vineyards is spacious and flooded with natural light. Select from a variety of tastings and tours, where you can experience Lange Estate’s current releases or reserve wines. The Winderlea Vineyard contains some of the oldest vines in the Willamette Valley, with original plantings including Pommard, Wadenswil and the Coury Clone. The vineyard comprises thirteen blocks entirely devoted to Pinot Noir. Winderlea’s Estate tasting room is in Dundee and Winderlea’s Winery tasting room is in McMinnville. At the estate tasting room, you can savor the distinctive Pinot Noirs as you take in the stunning views. The wines at Lemelson are made through organic farming methods and gravity flow production, resulting in wines of only the finest quality. Among the varietals you’ll find here are estate-grown Pinot Noir, Pinot Gris, Chardonnay, and Riesling. Art is a key part of the experience at Saffron Fields. As such, the tasting room also acts as an art gallery, while the exquisite Japanese gardens echo Saffron Fields’ philosophy of creating a serene unity with one’s surroundings. These blend to offer a serene atmosphere, providing a quiet, beautiful place where you can enjoy fantastic Pinot Noir, Chardonnay, and more. You can expect an exceptional level of service, expertise, and attention from the staff at Willakenzie Estate. 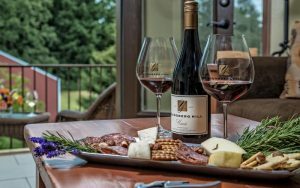 Savor the Estate Flight that showcases Willakeznie’s estate wines, or enhance your experience with the Reserve Flight that features sumptuous Pinot Noirs and a cheese and charcuterie board. Of course, we can’t leave ourselves out of our estimation of some of the finest wineries and tastings rooms around. We are committed to producing world-class wines, and we take great care in the process, from the vine to the glass. We use biodynamic farming in our organic vineyard, and through ensuring that we are in balance with nature, our wines are the best they can be. 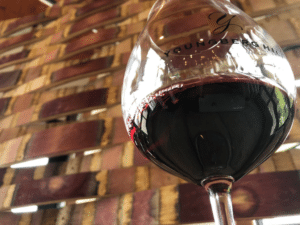 Each tasting at Youngberg Hill includes the undivided attention of a wine expert as well as a delectable cheese and charcuterie board to enjoy along with your wine. 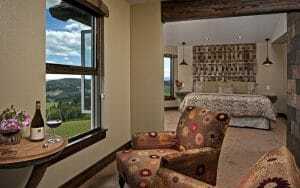 Our cozy, inviting tasting room enjoys unparalleled views of the Willamette Valley. Step out onto our spacious wraparound deck to bask in the sunshine and breezes as you sip a glass of our award-winning wine and take in the sweeping panorama. What better place to stay during a visit to Oregon Wine Country than a gorgeous vineyard? Our bed and breakfast offers nine luxurious guest rooms, appointed with everything you need for a relaxing stay. Plus, guests of the inn enjoy wine tastings for half-price. Enjoy incredible wine, magnificent views, and impeccable hospitality when you stay with Youngberg Hill. Be sure to take a look at all of our guest rooms and book your stay in the Willamette Valley today. In Oregon, you will discover a rigorous commitment to high-quality wines. 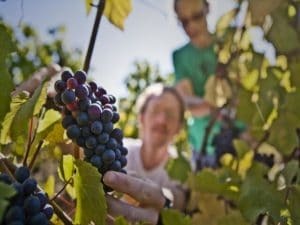 Despite the state being third in wine grape production, wineries remain dedicated to the creation of small-batch artisan wine, and it shows in the quality of the wine. The largest AVA within the state is the Willamette Valley AVA. Its mild climate and soil combined with its concentration of top-notch vineyards and wineries have earned it the distinction of also being labeled Oregon Wine Country—no small feat in a state with such high standards. The Willamette Valley AVA is famous for its Pinot Noirs. Pinot Noir grapes were first planted here in the 60s (first by Richard Sommer and later by David Lett) and have since thrived. Today, more than 80 percent of Oregon’s Pinot Noir comes from the Willamette Valley. The climate in the Willamette Valley allows the fruit to develop flavor and complexity during the growing season while still retaining its natural acidity. Sample a glass of Willamette Valley Pinot Noir, and you’ll discover subtle flavors, supple textures, and crisp, refreshing acidity along with ripe tannins. As Pinot Noir is sensitive to differences in climate, however, you will find complex variations from each vineyard and from each year. 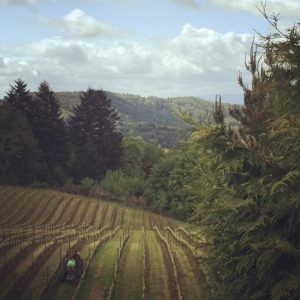 The Willamette Valley has more certified biodynamic acreage than any other AVA in the country, and when you take care of the land, it naturally follows that the fruit it produces will be of better quality. Labeling regulations are strict in Oregon. To designate a wine as belonging to a specific AVA in Oregon, 95 percent of the wine’s grapes must be from that region (and 100% from Oregon), which is higher than the country’s standard of 85 percent. And for an Oregon wine to be labeled as a specific varietal, 90 percent of the wine has to be of that grape variety—15 percent higher than the country’s standard. There are some exceptions, but Oregon’s famed Pinot Noir is held to these high standards. The Willamette Valley AVA is the largest AVA in the state. The larger Willamette Valley AVA also includes seven more specific AVAs. 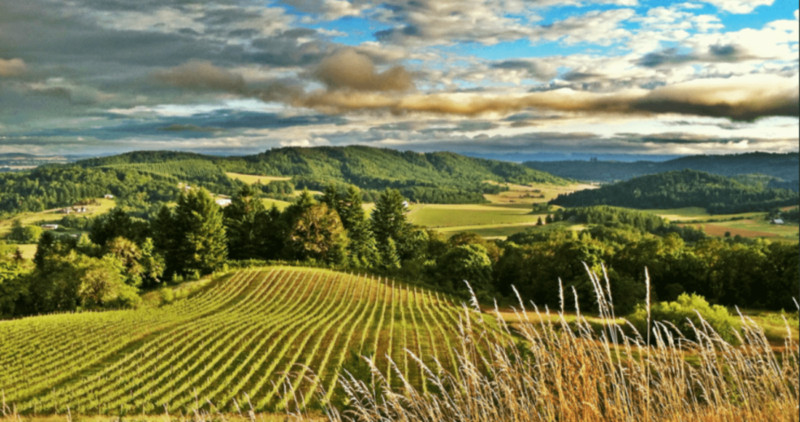 These arose after various vineyards and wineries petitioned the Alcohol and Tobacco Tax and Trade Bureau (TTB), arguing that these regions produced wine distinct from others within the Willamette AVA. The newest AVA was granted official status as of January 2019. The geography and climate are the two main features that make this region distinct. These mountains contain the largest peak in the Willamette Valley, Bald Peak, which affects the weather for the Chehalem Mountains AVA in addition to surrounding AVAs. You’ll find all three hillside soil types here—basaltic, ocean sedimentary, and loess. This leads to wines with a uniquely bright, intense, spicy cherry character—somewhat more heightened than the silky cherry typically associated with Oregon Pinot Noir. The first grapes in the Willamette Valley were planted here, and it is the most densely planted region in the valley and beyond that, the state. It is protected from the ocean climate by the Coast Range and is almost entirely basaltic landmass. Consequently, you’ll find acidic wines with tart, fruity flavors here. This AVA comprises the Eola and Amity Hills. The soil of this AVA is what primarily influences the characteristics of wines made from grapes that are grown here—volcanic basalt mixes with marine sedimentary rocks and alluvial deposits, which makes for shallower, rockier soil. In turn, this leads to well-drained soils from which grows small grapes with great concentration. According to Willamette Valley Wine, the McMinnville AVA contains “uplifted marine sedimentary loams and silts with alluvial overlays and a base of uplifting basalt.” The soil here is uniquely shallow for winegrowing, and the planted slopes are sheltered by the Coast Range Mountains, which results in lower rainfall. The soil brings a bright acidity and the cool winds thicken the skins of the grapes, adding a balancing structure to the wines. Additionally, wines from the McMinnville AVA are known for having darker, deeper colors. Uniform ocean sedimentary soils and a sheltered climate are what primarily distinguish the Ribbon Ridge AVA from others. This AVA sits within the larger Chehalem Mountains AVA. 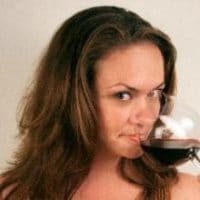 Wines from the Ribbon Ridge AVA typically need to age a bit longer for their structure to mellow, but once it does, it results in a wine with plenty of spice and floral aromatics and elegant fruit flavors. The Van Duzer Corridor enjoys near-perfect growing conditions thanks to its unique location. It sits within a gap in the Coast Range, and oceanic winds help regulate the conditions here, keeping this area cooler than others on hotter days and warmer on colder days. Wines from this region have bright, fruity flavors, increased aromatics, and marked acidity. You’ll find unique growing conditions here, as this AVA sits in the rain shadow of the Coast Range and is further protected by the Chehalem Mountains and Dundee Hills. The soils here are some of the oldest in the valley, and the coarse-grained ancient marine sediments drain quickly. Wines from the Yamhill-Carlton AVA are spicy in the nose and feature blue and black fruit flavors. With over 500 wineries to discover, it may be daunting deciding where to begin touring the Willamette Valley AVA. Why not stay at a vineyard? At Youngberg Hill, you’ll be staying at Oregon’s premier wine country estate, centrally located in the Willamette Valley. You’ll be within a 20-minute drive of over 100 wineries and tasting rooms and within steps of ours. Whether you’re relaxing and enjoying the panorama from your luxurious quarters or enjoying an incredible glass of our organically-grown wine, Youngberg Hill provides a serene oasis atop a 50-acre hilltop. Your stress will melt away in the peace and tranquility afforded by our gorgeous inn, vineyards, and unmatched views. 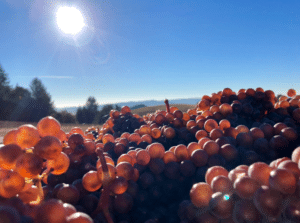 2018 vintage has been a very pleasant growing season. Spring (bud break) was later than it had been the last 3 or 4 years, just slightly earlier than average. It was cooler and wetter which slowed down growth such that bloom was about average timing. As a result, the vines were healthy and bloom moved on to fruit set with no weather issues and all the clusters/fruit developed were very even. Summer started on time but warmer than normal. Through August, while we did not have any extremely hot days of 95+ degrees as in the last few years, we did have consistently warmer temperatures ranging 8 to 10 degrees above normal over long periods of time. This accelerated the development of the fruit and moved us into veraison a little earlier than we would have expected based on the timing of bloom. What does earlier veraison mean? 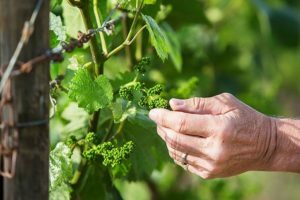 It means that the fruit begins to ripen in warmer temperatures, that has the potential to throw things a little bit out of balance as the fruit ripens faster. Fortunately, as if the weather was trying to help the vines out, temperatures in September began to gradually go down below average. These lower temperatures slow ripening of the fruit which is a good thing. Slower fruit ripening in cooler temperatures keeps fruit development in balance. We also have had a couple of stints of moisture creep into the valley providing reprieve for the vines and slowing development even further. All this, has me very optimistic for the wines out of the 2018 vintage. While it is still a little early to make predictions, I see great potential in the fruit to develop complexity and balance in the wines.